We know citrus for its immunity-boosting vitamin C properties, but the fruits may have another health benefit: reducing your risk of stroke. Citrus fruits are a good source of flavones, a subclass of flavonoids, that were tied to lower rates of stroke in a recent analysis of the Nurses' Health Study. Flavonoids are a class of plant pigments that act as antioxidants and have been found to reduce the risk of heart disease and cancer. In the study, 69, 622 participants completed questionnaires on their food intake every four years for 14 years. Researchers also tracked whether participants had strokes, and which types of strokes they had. Using a state-of-the art food database, researchers analyzed participants' diets for the presence of six common flavonoids. They discovered that people who consumed less flavones had an increased risk of ischemic strokes. In the fourteen years of the study, ischemic strokes occurred more frequently than other types of strokes. Citrus was not the only source of flavonoids in participants' diets. Tea, non-sugary citrus juices, apples, and blueberries all contributed to increasing participants' flavonoid intake. But only flavones were linked to a significant decrease in strokes, and none of the flavonoids were associated with a decrease in hemorrhagic strokes. There's no magic vitamin or nutrient for preventing strokes, but an overall healthy, balanced diet may significantly decrease your risk. Talk to qualified nutritionist or a chiropractor trained in nutrition to learn more about healthy dietary and vitamin choices. Anderson, Pauline. 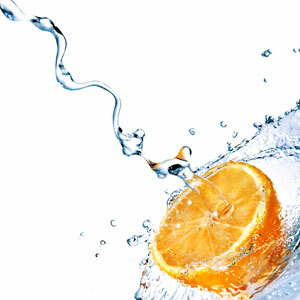 Flavanones in Citrus Fruit May Lower Stroke Risk. Medscape Today. February 23, 2012. http://www.medscape.com/viewarticle/759097. Accessed April 3, 2012. Cassidy, A, Rimm E, O'Reilly E, Logroscino G, Chiuve S, Rexrode K. Dietary Flavonoids and Risk of Stroke in Women. Stroke 2012;doi: 10.1161/​STROKEAHA.111.637835.